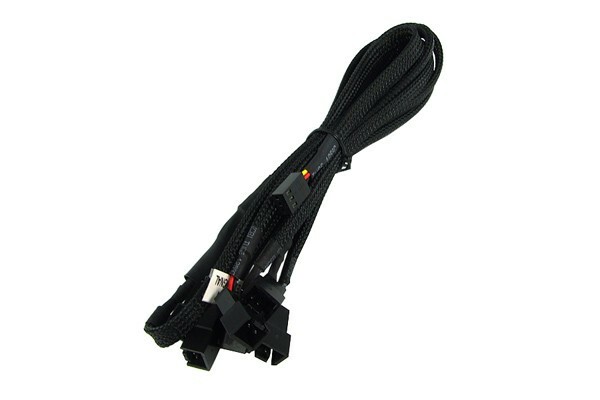 For connection of 6 fans with 3-Pin connectors to a 3-Pin connector e.g. on the Mainboard. Please note that the speed monitoring of only one connected fan is possible with this adaptor cable. A white sticker on one of the cables shows which connector can be monitored.